Hello you. The first piece of big news this week is that Front And Follow’s 50th release, the bumper double CD compilation LESSONS is finally out and looking and sounding absolutely beautiful. Order your copy here and please enjoy Howlround’s exclusive contribution once again while you’re at it. And thanks to Richard from The Quietus for a lovely review! Featuring friends old and new such as Time Attendant, Pye Corner Audio, Leyland Kirby, Ekoplekz, Farmer Glitch and many more, it’s currently on the Foggy stereo, providing the perfect soundtrack to writing this missive. Certainly a damn sight more entertaining than the pre-Nov 5th light and sound show my old laptop power supply has just treated me to, shortly before dying forever in a blaze of something far from glory. And it was only two weeks old as well. Sadly, this now means there’s going to be another death tomorrow morning in an electrical goods shop somewhere on Penge High Street. Bloody cowboys! Ahem. Moving on, I would normally have begun this week’s update by inviting you to Howlround’s next live show, which occurs this week in the hallowed grounds of Abney Park Chapel; but unfortunately I can’t because it’s completely sold out! The Chapel itself is a magnificent piece of Gothic splendour at the heart of a historic cemetery in one of my former stomping grounds, dear old Stoke Newington; and having spent a couple of happy years living in a leaky, windowless hovel just around the corner, it’s long been a dream of mine to return here (the chapel, not the hovel) with my trusty tape machine quartet and perform some kind of aural seance. Up until now my efforts have been thwarted by the chapel being closed off, due to its receiving some unwanted attention from vandals and other undesirables (Abney Park apparently being the kind of burial ground that has more trouble being haunted by the spirits of the living); so I was very excited to be invited to play there as part of The Quiet, a nocturnal ensemble performance taking place this Friday. The only slight caveat is that the concert has to take place completely off the grid – there is no access to mains electricity in the cemetery, and given the nature of both the surroundings and the performances, a noisy generator would surely prove a disturbing presence. While you would be forgiven for thinking that this would put an insurmountable kibosh on my loop and spool antics, in actual fact the trio of UHER tape machines known as Delia, Elisabeth and Maddalena are actually designed to work on batteries as well as mains electricity, largely owing to their originally being used by broadcast journalists recording interviews out in ‘the field’. Sadly my ‘feedback’ machine Daphne is the one weak link in the chain, due to her having been ‘modified’ (an arcane piece of BBC terminology meaning ‘spoiled’ or ‘unnecessarily fiddled with to make more complicated’) and fitted with a particularly obscure and expensive type of large battery, that was apparently infinitely preferable to the perfectly fine and readily-available D-cells that all the others run off. You know – the kind that can be purchased over the counter at any supermarket. As ever, thanks a bunch, Auntie! Both taken by visual artist Gabriel Edvy, they perfectly capture the blurry and crepuscular sound-world enjoyed by fans, well-wishers and other visitors to my surprisingly busy sound dungeon – including those just who’d got lost on their way to the toilets. Thanks, Gabriel! Why not check out her latest video, produced for the dark ambient project Empty Chalice, once we’ve finished our business here? 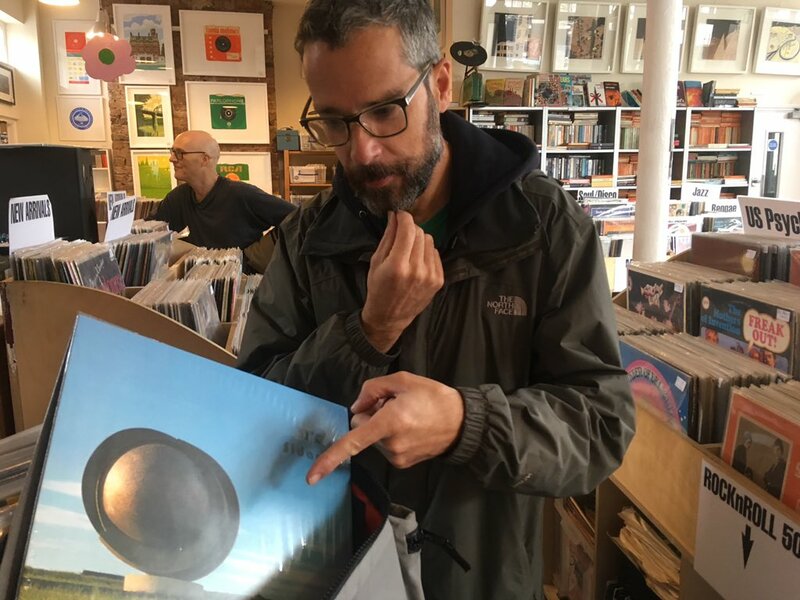 Also worthy of your attention this week is artist and self-proclaimed ‘non-musician’ Pascal Savy, who has just uploaded two absolutely gorgeous new feedback-produced ambient drones to his Soundcloud page. Both are highly worthy of your attention – and I really hope he doesn’t leave it too much longer before putting us all out of our misery and dropping an album! Continuing the (mostly) ambient tip, my guest spot on WNBC’s regular Sunday lunchtime session ‘Out Of The Woods’ is now available for your listening pleasure via their Mixcloud page. Live from West Norwood’s Book And Record Bar, it was the perfect lazy soundtrack for a chilled out Sunday (well, all of it apart form the last 40 minutes when my urge to give what might actually be the greatest piece of music ever made a spin got the better of me), you’ll hear music from Unica Zurn, Revbjelde, Akiha Den Den, the mighty Discom label and others. And I even had a few friends pop in to give me a leg-up (not literally). Especial thanks to Peter Williams and King Michael! And finally, we must end on a sad note with news of the passing of Augustin Mawangu Mingiedi, frontman of legendary ‘Congotronics’ ensemble Konono No.1. Just 56 years old and only two years after taking over the leadership of the band with the passing of his father and Konono founder member Mingiedi Mawangu, who died in 2015. 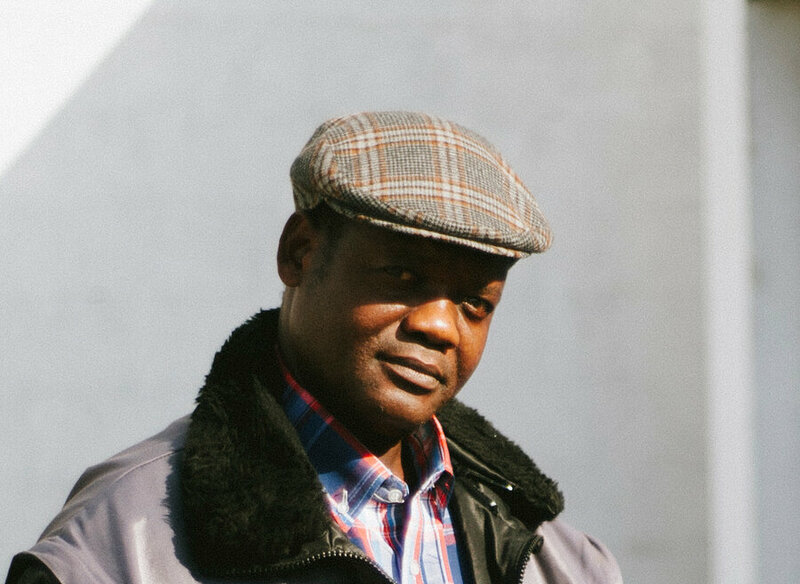 With my friend Ata Ahli Ahebla, I interviewed Augustin back in February of that year for the BBC’s Focus On Africa programme, on the occasion of the group’s three-day sellout residency at London’s Cafe Oto. Noticing that Rolling Stone have linked to that report (and quoted from it) in their obituary of Augustin, I decided it would be a nice tribute to dig it out once more and leave the last words today to him. Kononno have pledged to continue, with the task of frontman and lead likembe player passing down to the next generation in Augustin’s son Makonda. If this latest incarnation of the group carry on creating sounds even halfway as thrilling as the joyous, visceral racket produced when the two Mingiedis were at the helm, then the legacy of father and son will be in safe hands. RIP. Hello You. Before I get to the main thrust of that headline, allow me to stir in some additional intrigue by inviting you to enjoy this extract from my set at the recent Tapeworm 100 event at Iklectik; where that fine label celebrated their centennial emission – the whopping 36-track compilation A Can Of Worms, featuring amongst other delights an exclusive Howlround track and artwork by Savage Pencil – by throwing an extravaganza at one of my very favourite venues. Featuring live performances from such luminaries as Dale Cornish and Phil Julian, Simon Fisher Turner, Marta De Pascalis and more, for my own part this might well have been Howlround’s noisiest set to date, as I decided to use the venue’s excellent sound system and the presence of ever-patient sound engineer Ilia Rogatchevski to give the equipment a bit of a push. Though in truth it’s not as if I need too much of an excuse to go heading down the noisy rabbithole at the moment – I’ve been getting really into pure feedback lately and thankfully it seems my neighbours are quite into it as well. Three cheers, then, for the Tapeworm, for label heads Mike and Philip and of course for Eduard and the Iklectik posse. If you haven’t yet visited this brilliant little corner of Lambeth yet, do so with haste. It’s rapidly becoming the Cafe Oto of South London! Which brings me semi-seamlessly to the Cafe Oto of North London, aka the actual Cafe Oto, where Howlround will be heading back down that rabbithole again this Friday in their Oto Project Space, alongside Leafcutter John and CTRL FREQ. Details and tickets here. It promises to be a mighty event, not least because it marks a rare UK appearance from legendary self-styled ‘circuit bender, sonologist, vagabond, improviser, music producer, audio-hacker, instrument designer, nomad, radio presenter, workshop leader, squatter’ Kacper Ziemianin, a man more often found making mischief around The Hague. And it’s not as if Mr. Leafcutter’s work is in any need of an introduction, is it? Take full advantage of their presence! And lastly, thanks to everyone who ventured down to the Crypt at the all-day electronic music festival that was 22rpm, to check out the Howlround tape loop installation stretched across the tunnels beneath the historic church of St. John. This proved yet another perfect location for my programme of haunted drones and wonky loops – which was just as well as the increasing humidity caused them to contract, resulting in things getting even wonkier than usual and causing some frequently beautiful happy accidents – plus the gradual death of both loops, all captured on my recorder for prosperity. I will put an official extract online at some point soon, once I’ve had time to properly go through the material (due to various commitments my life is currently about a week behind schedule), but in the meantime huge congratulations must go to Léigh and the Bit-Phalanx team for putting on their finest event yet. And not forgetting to send big Martian love as ever to my old pal Coppé, visiting us once again from Mars and this time rocking a show-stealing costume that for some reason put me in mind of a giant squid, with a hat in the shape of a giant tooth completing the look. Naturally you’d don’t spend an hour backstage being helped into this kind of attire for nothing, and while I missed the set due to my subterranean untangling duties, I’m told the tracks from new album Milk went down a storm. It’s out now on CD and ‘puddle’ coloured vinyl. Order it here. It’s good to have her back! Ben from Lightrhythm Visuals, Coppé from Mars and me from, er, Penge. A native of Arizona, Mike has a reputation as a sort of ‘Lathe-Master General’, having cut literally thousands of records in the last decade or so – his releases endlessly varied not just in style but in shape, size, colour and substance, many pressed on ‘up-cycled’ junk and surfacing on his own labels such as PIAPTK and Soild Gold. Marketed largely at bands looking for short runs, limited editions and unusual items to sell on tour, each of Mike’s discs are cut by hand in real time and usually come with homemade artwork to match. As Michael Nau is currently on tour around Europe promoting his rather fine second solo LP Some Twist, the scheme was hatched to have Mike and one of his lathes accompany him, documenting the tour and making Alan Lomax-style field recordings at various historic sites around Europe such as Stonehenge, the Brandenburg Gate and so on. Furthermore, as well as a limited series of tour-only lathe singles like the one in the above picture, a special invitation would allow a small number of fans to stay around after each show and pay to have a song of their choosing performed and cut to disc in front of them; resulting in a one-of-a-kind record that would be theirs to keep. An absolutely brilliant idea, I thought when I first heard about it, especially as Michael’s delightfully wonky acoustic numbers seem to particularly suit this lo-fi approach. It doesn’t require too much of a conceptual leap to imagine how excited I was at the mere thought of all this, so I’m sure you wouldn’t have been at all surprised to spot me a short time later helping to wheel a large amount of heavy equipment onto London’s South Bank just outside of the Tate Modern. The original location of choice had been The Houses of Parliament in order to capture the chimes of Big Ben, but when a mutual friend reminded us all that the bell was currently ‘bong-free’ and would remain so for the next four years [#FAIL], it fell to this long-term Londoner to nominate a alternate spot. I chose the grounds outside the Tate Modern because you can pick up the chimes of St Paul’s quite well from its position on the opposite bank, while secretly being slightly relieved that we were to avoid Parliament Square – you can readily imagine how quickly setting this lot up in that area would get you moved on – and moving anywhere with this much equipment is enough of an undertaking already! In the end, however, all went well and Michael made the first of what will hopefully be numerous field recordings throughout this tour, all to be compiled into an album and accompanying documentary at a later date. The actual BBC report being cut. The inner ring you can see is a stream of lacquer that that cutting head removes from the disc as it makes the groove. 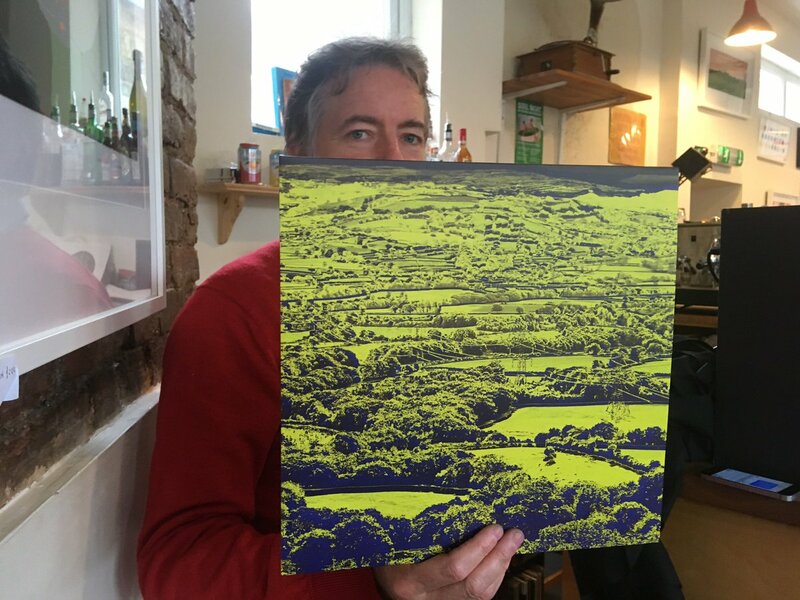 Having edited and mixed the report before sending it over, I caught up with the pair a few days later for their show at the Lexington in Islington – and for the grand cutting. I was told that the lathe – a restored model from the 1950s – had only broken down several times in the intervening days, and so was considered to be putting in a very strong performance. Nonetheless, it was a rather nail-biting process. Would it co-operate at this crucial moment? Would the resulting disc play back properly on unfamiliar equipment – especially a BBC turntable (that had probably been gathering dust for a while) during a live programme? Would we even have time to cut it with Michael’s band waiting impatiently in the wings, and… actually now on stage and tuning up? ‘Hurry, Mike! But no sudden movements!’, I thought. Thankfully, as appears to have been a continuing theme on the tour thus far, everything came together at the last possible moment. The report was cut in a single take from Mike’s place at the side of the stage, while signalling ‘two more minutes!’ at an impatient crowd and imploring assorted drummers and bassists not to ‘jump around too much’. The resulting disc, signed by both Michaels and labelled ‘SUPER FRAGILE’ by me was delivered to New Broadcasting House the following lunchtime. It closed the programme that evening and was, as presenter Ritula Shah points out, the first BBC radio report ‘on an analogue disc’ for at least fifty years. 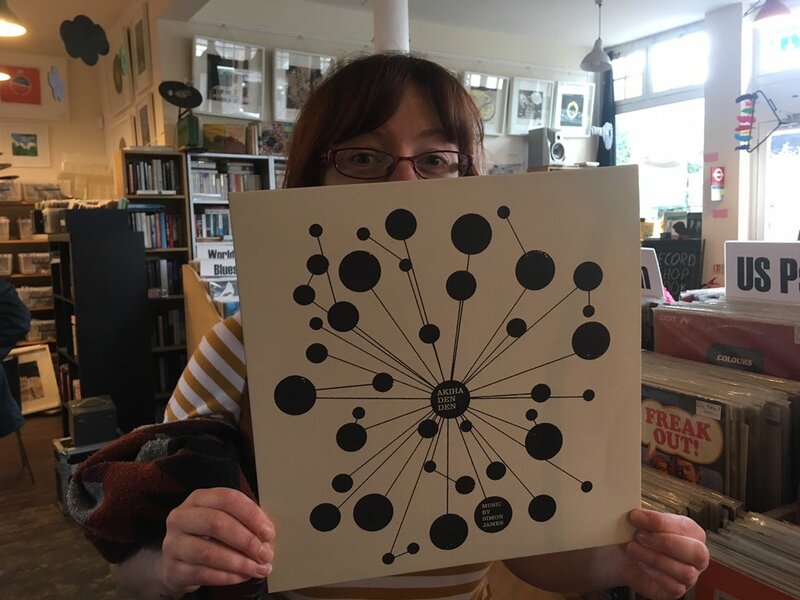 ‘Of course we asked Robin to cut his entire report onto vinyl so we could be part of the experiment too’, she says in her cue (technically it was my idea, but let’s not split hairs), ‘so bear with us and just forgive the crackles and the static’. Forgive? Really?! I thought it sounded smashing, personally – and certainly better than many of the poor quality phonelines and Skype connections that I had to endure passing through my mixing desk during my tenure with the Corporation. ‘I have to say I can’t cope with the static’, Ritula comments as the piece concludes with Michael’s performance outside the Tate Modern; to these ears a lovely acoustic number transformed into a vintage blues lament with just the right amount of crackle. I wonder how many listeners would have spotted much difference if they hadn’t had their attention drawn to its unusual delivery mechanism? Or maybe I’ve just been playing around with degraded tape loops for too long? Anyway, fidelity-based quibbles aside, the programme is still available here at the time of writing, so have a listen to the pre-cut version on Soundcloud and then the broadcast version on iPlayer and see if you can hear all that much difference, considering. The tour continues with the two Michaels still lugging a surprisingly heavy amount of equipment around Europe and Some Twist is available now from all good record shops. Travel safely with your precious cargo, gentlemen! In other broadcast-tastic news, I shall be helming the Sunday 12-2pm slot on WNBC this weekend, broadcasting live from The Book And Record Bar in fashionable West Norwood. I have absolutely no idea what I’m going to play yet, but of course it’s going to be massive – so please do tune in, or better still come down to the shop to say hello and have a browse. 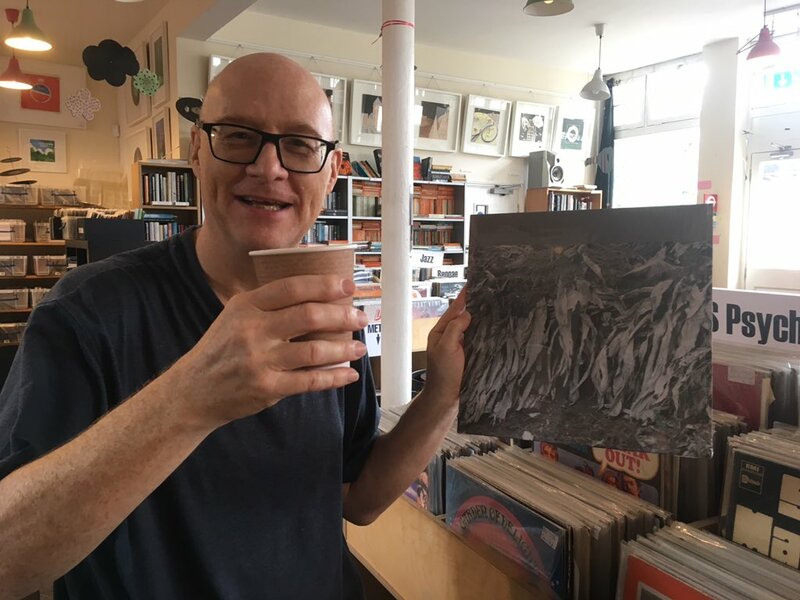 As well as the records, there will be beer and coffee served by amiable host Michael, and as it’s West Norwood’s monthly FEAST event, the shop might be running their famous CAKELAB as well! Come on down! Must also briefly say a huge thanks to The Tapeworm and Iklectik for Friday night’s event celebrating the launch of their 100th release, the mammoth 39-track A Can Of Worms and featuring performances from Laura Agnusdei, rough music, Simon John Fisher Turner, Marta De Pascalis, Dale Cornish & Phil Julian as well as a rather noisy Howlround set from yours truly, based largely on pure feedback, which seems to be where I’m headed at the moment. I will certainly be writing more on the event (and hopefully digging out an extract) in the coming days as it was one of my favourite shows of the year thus-far, I just need a bit more time to go back through the recordings first! For now, here’s a picture taken immediately post-soundcheck and pre-dinner, which will hopefully whet your appetite (mo pun intended). With all that equipment between us it’s a wonder we managed to squeeze such a big crowd in! super brutal and beautiful set by the always excellent @Howlroundmusic yesterday at @iklectikartlab – feedback at its very best! In other news, if you happen to be in the vicinity of Cambridge this Tuesday, October 3rd, I’ll be giving a talk about my work and a short demonstration from around 5pm as part of the series of Alchemical Landscape lectures at the University’s Centre for Research in the Arts, Social Sciences and Humanities (or CRASSH). Very much looking forward to meeting up with curators Yvonne and James again – and hopefully a few of the people I met last year while playing at one of the city’s long-running Bad Timing events. Do come along if you’re in the area – it’s free there might even be a little audience participation! And lastly, news of next weekend’s 22rpm, a marathon all-day electronic music festival with a stellar line-up at St. John on Bethnal Green, a magnificent live music venue as well as a fully-functioning church, and the scene of Howlround’s recent live score of the film A Creak In Time. Headlining the Psyché Tropes event for the East End Film Festival back in the summer, that performance was memorable for the church kindly allowing us to use candle-stick holders as impromptu tape-loop restrainers (not the wisest of moves in hindsight) and for the moment when Daphne exploded. Perhaps mindful of these dramatic incidents, for this event the powers that be have banished us down to the crypt, where we’ll be creating an appropriately crepuscular and haunting soundtrack to counter the techno titans doing electronic battle over our heads. It is a seriously impressive line-up, have a look at this poster then click on the image to get tickets while you still can!